We’ll have a full report from Interbike in the November issue of MBR, but until then, check out a few of the more interesting, and quirky, bits on display. 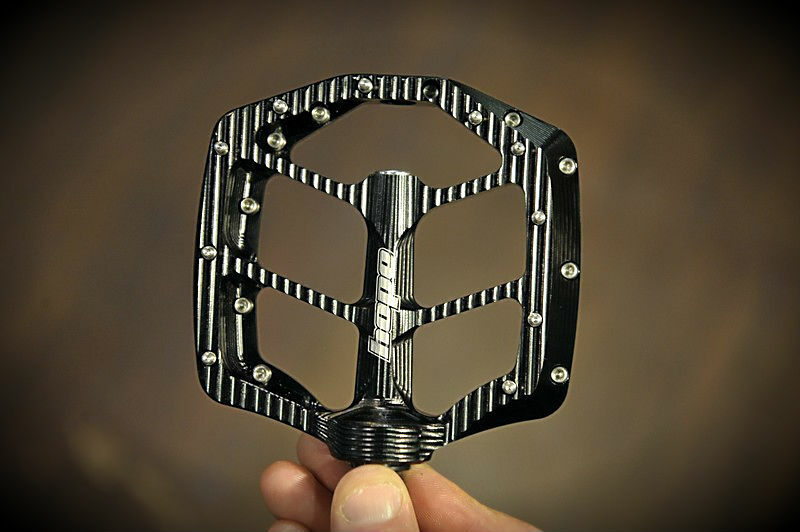 Hope‘s new flat pedal. Thin, concave and ten pins per side. No word as to when, or if, it will go into production. 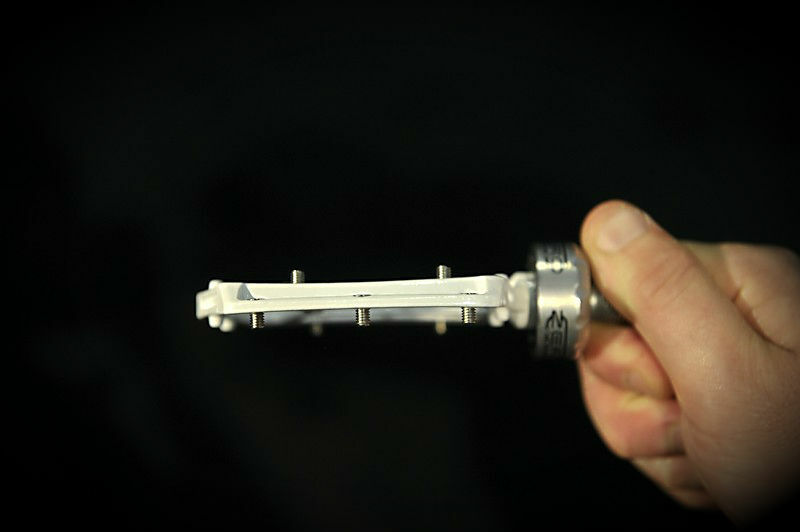 Tioga MT-Zero flat pedal. Investment cast chromoly construction, 7mm thick, concave shape, 28mm bearing. Sombrio is the latest brand to enter the sticky rubber shoe market, competing alongside dominant force Five Ten and newcomer Teva. 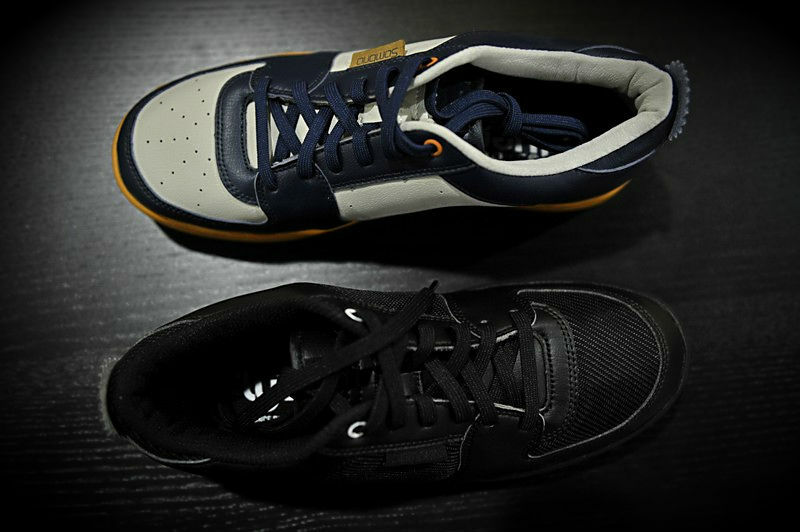 The X-Floats, shown here, get Flyersol rubber soles and come in two colourways. Three styles of high top complete the line-up. 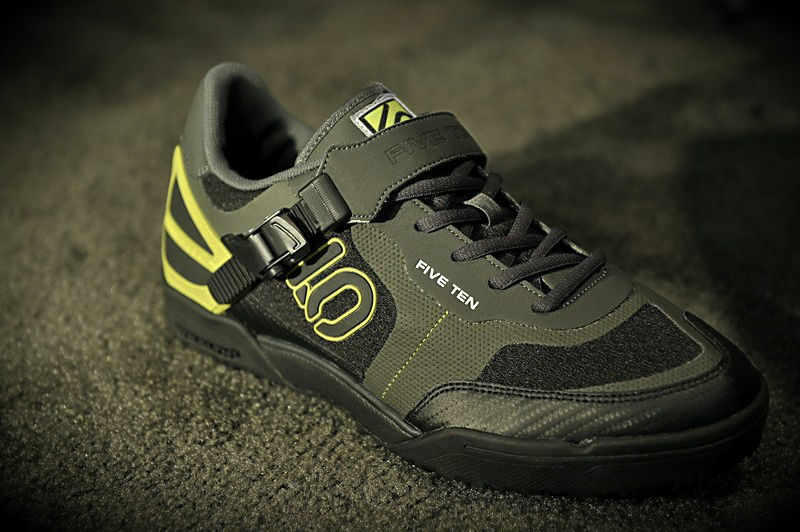 Five Ten, on the other hand, is busy expanding its SPD range. 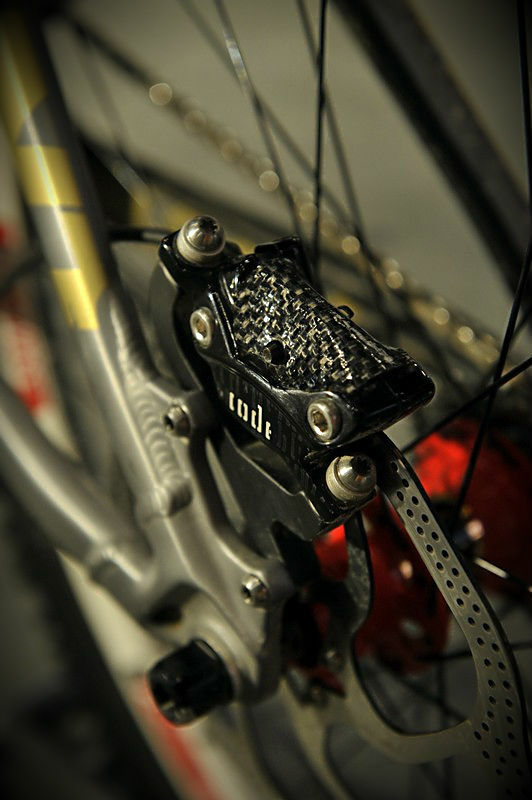 This is the new Kestrel SPD with carbon shank, Stealth rubber sole and ratchet closure. 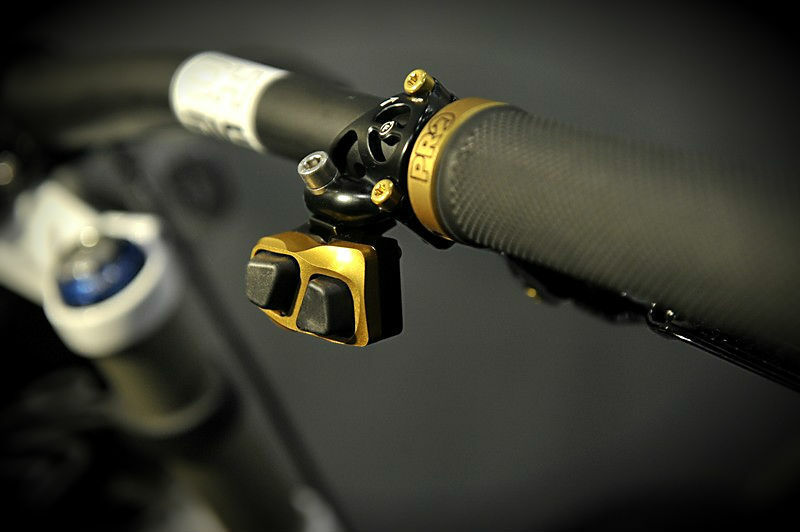 Five Ten’s Cool Hwip. 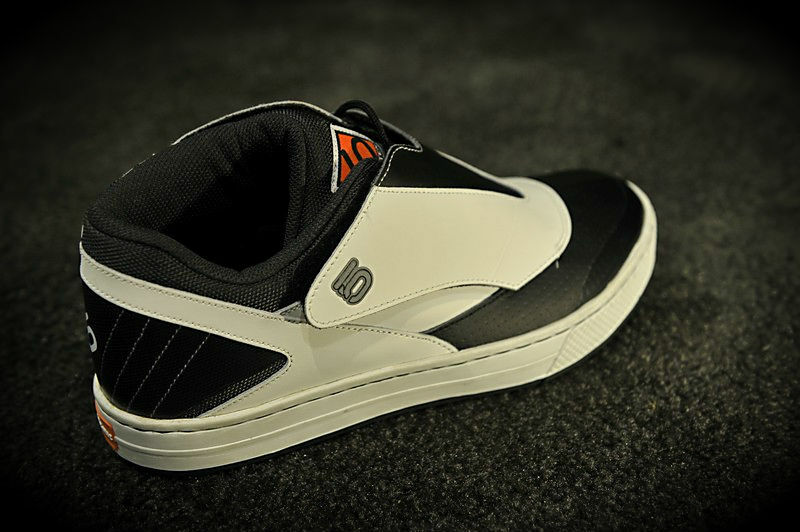 Water resistant, bonded tongue, SPD. 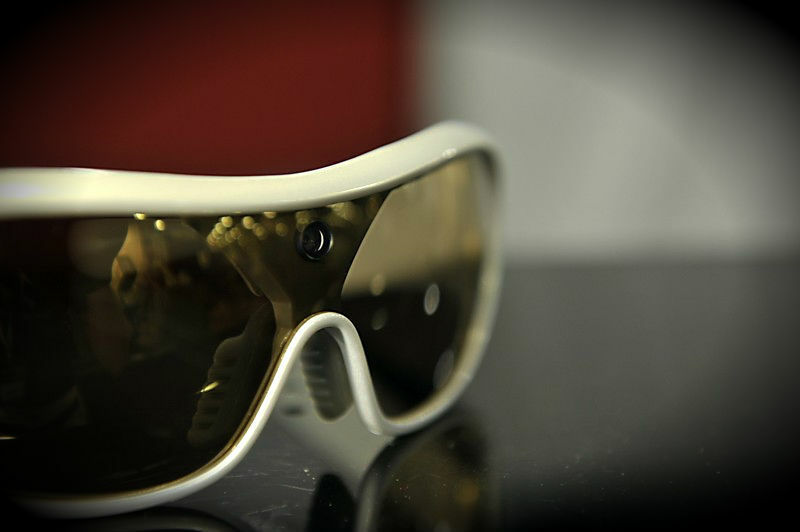 For Freeride and DH use. 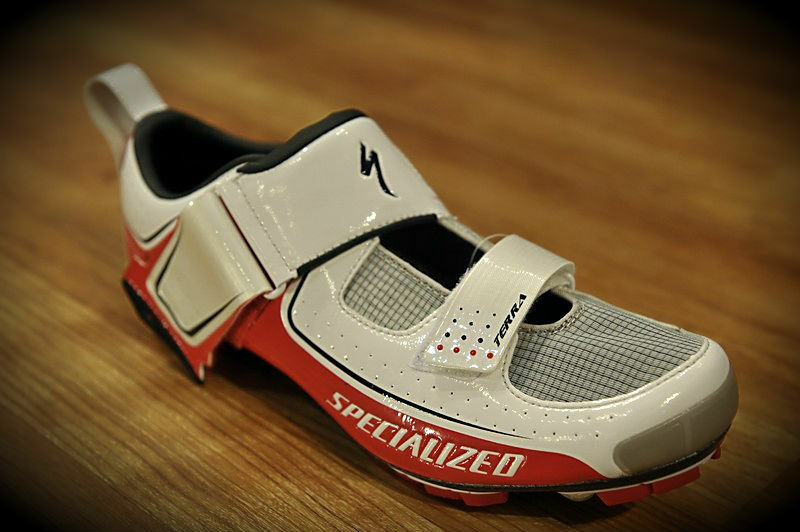 Specialized‘s Terra MTB shoe, apparently for ‘sock-less’ use and X-Terra racing. 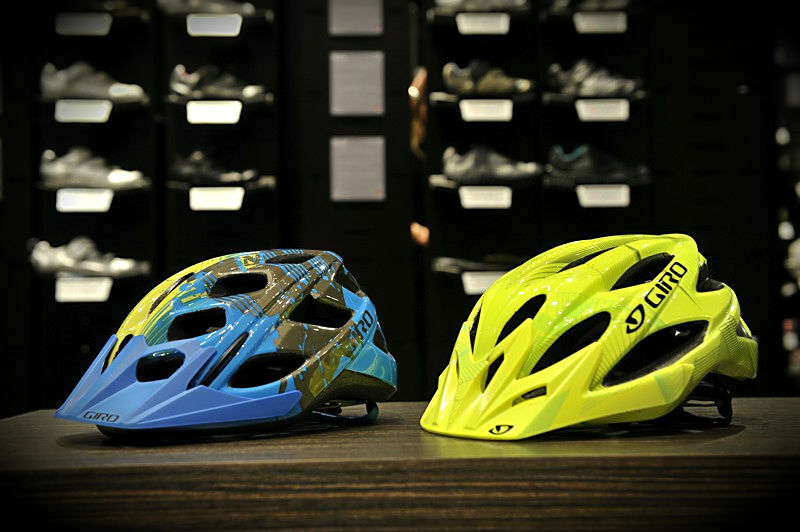 Giro Xar and Hex in new colourways. 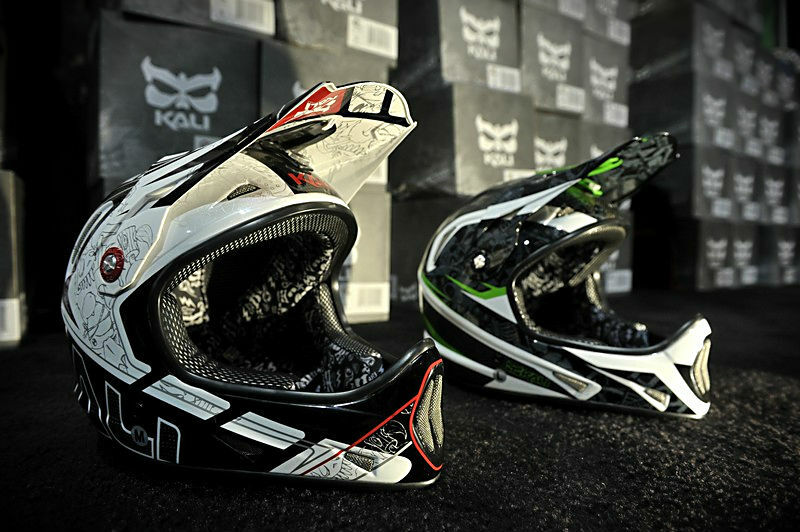 Kali Avatar 2 – carbon full-face for $349, an incredible 775g! 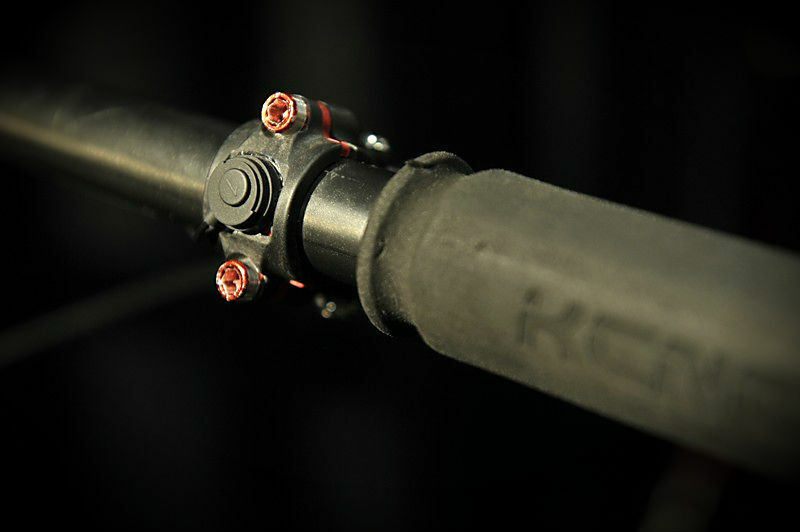 K-Edge Ki2 electronic shifting, based on Dura Ace but for off-road use. $4595! 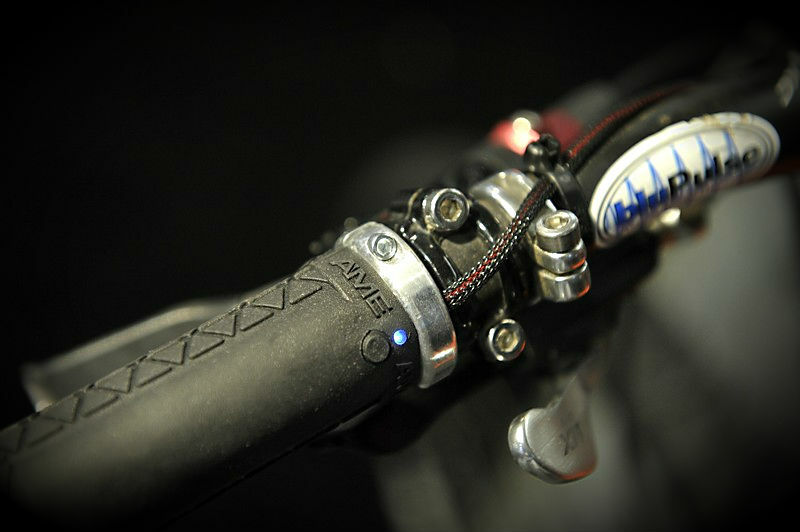 Fairwheel’s minimalist electronic shifter with sequential gearing. More in next month’s mag. Cold hands? Forget gloves, you need heated grips! AME Heated grips, $299 a pair, six heat settings, replacement grips $80 each! 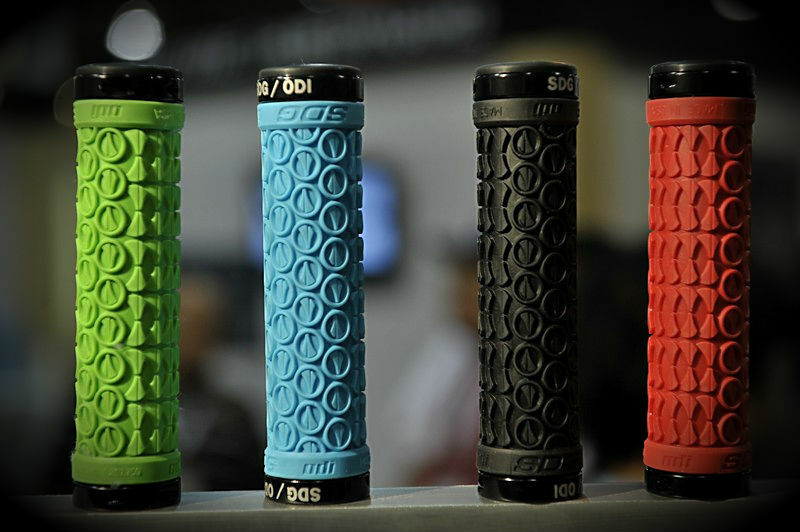 ODI/SDG have worked together on new grips. ODI/SDG collaboration. A new ODI saddle is also on it’s way too. 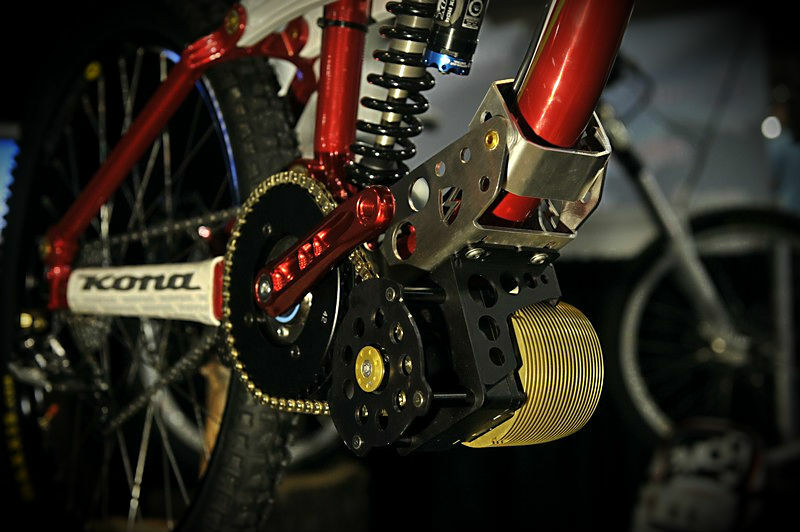 Brake caliper cover on Danny Hart’s downhill bike, keeps the mud out. 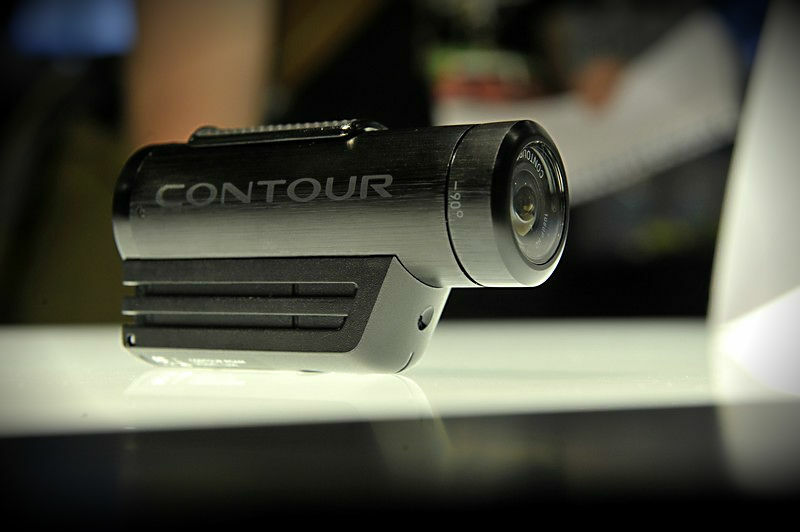 Contour Roam – instant on/record, waterproof, new lens, and better value. 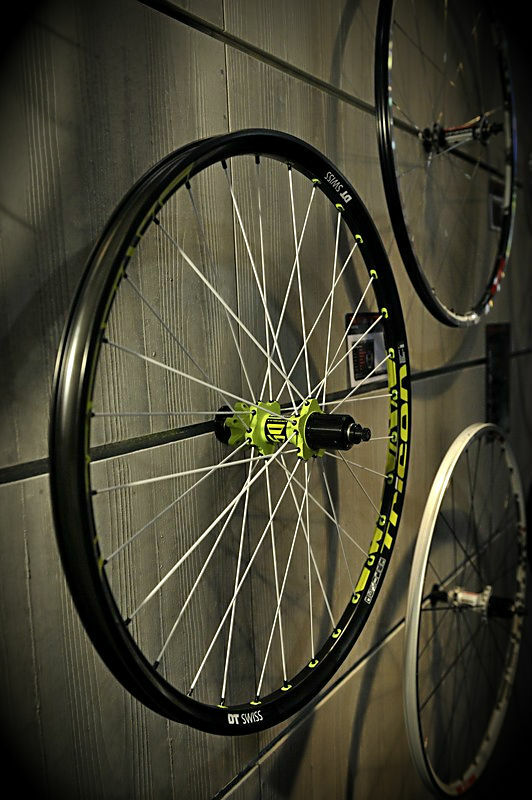 DT Swiss new ‘tennis ball’ DH Tricon wheelset – 30mm rim, 30 spokes, 2000g. Your very own uplift – a 3hp/2400watt electric engine. BUT it weighs 12lbs and costs €2400! 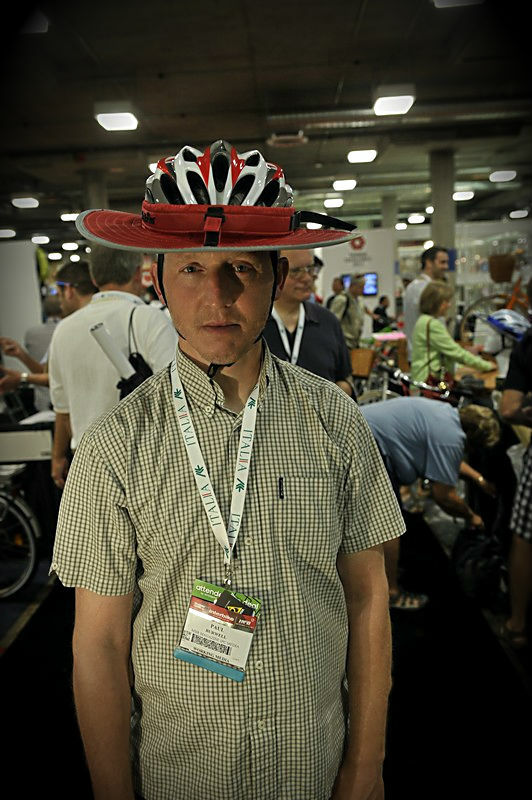 Another Interbike gem. 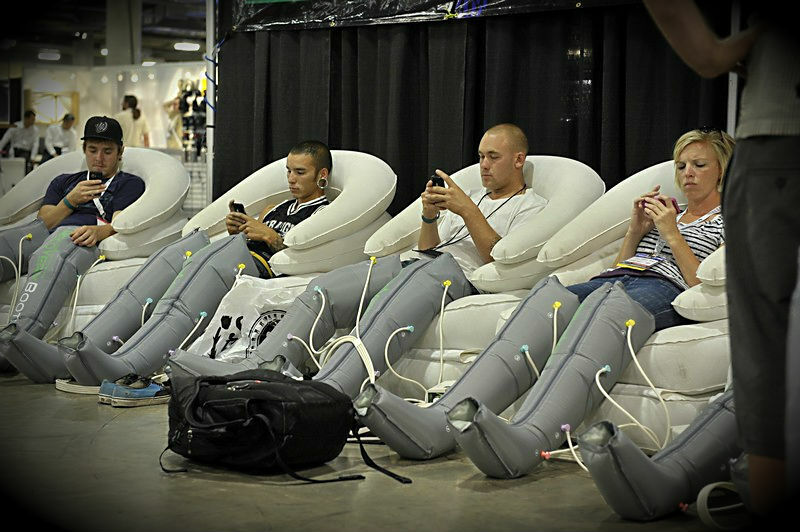 Recovery Boots. Err.. the Da Brim. A hat for your helmet. Genius!